This is truly a History Making Golden Olympics! This is truly a History Making Golden Olympics! Olympian, USA Swimming Professional Athlete & World Swimming Champion & Speedo Athlete, (Above Photo) Tyler Clary who I worked with for his preperation for his very first USA Olympics this year 2012! I worked with Tyler as his Exercise Physiologist, Sports Medicine Specialist, Nutrition Specialist. I worked with Tyler since 2010 on his Nutrition, for his first Olympics he won Gold in the 200 backstroke & broke Olympic record! 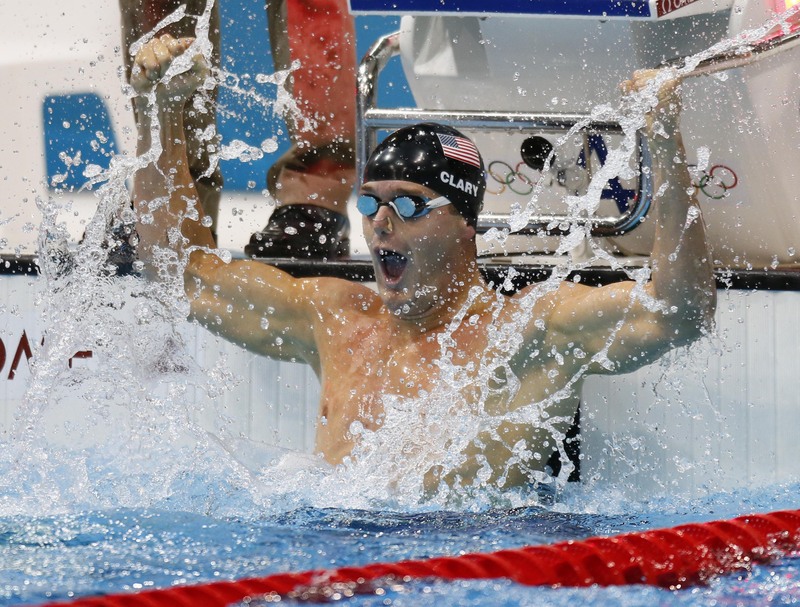 Tyler Clary is now a Olympic Gold medalist and Olympic Record Holder in 200 backstroke, Tyler clenched first in front of defending Champion, Ryan Lochte. In addition to being an Olympic Gold medalist, he is also a professional DJ. He was the featured DJ at the Athletes Celebration in London. He is also a professional race car driver as well as a designer and engineer for car and builds PC’s from scratch. I could not be more proud of Tyler! He is one of the younger male Olympians & to win Gold & not only did we win Gold but he also broke an Olympic record! Tyler has incredible drive & work ethic. I have enjoyed working with him on his Nutrition for his preperation for the Olympics! Tyler made USA proud bringing back Gold to USA! Go Team USA!